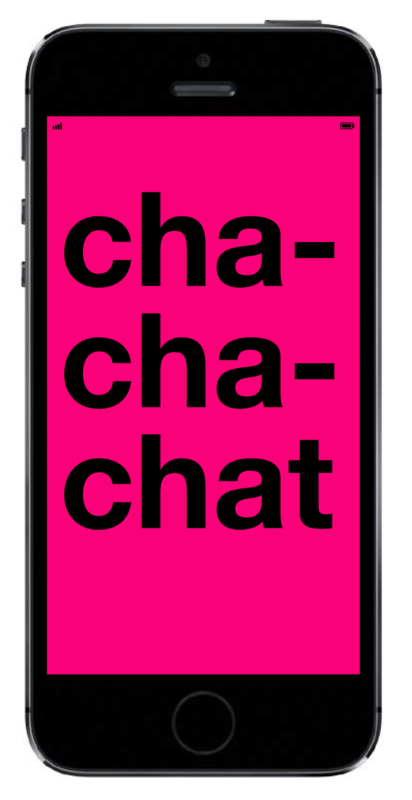 Chachachat is a new way to chat and flirt. It’s an app for exchanging messages with strangers, using only a limited number of phrases and background colors to communicate. On signing up, you receive ten phrases. When someone else sends you a message, those phrases are added to your vocabulary. The more you chat, the more you can say. Parental advisory: All phrases in the app were taken from dating websites.